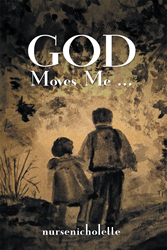 “God Moves Me...” from Christian Faith Publishing author nursenicholette teaches the importance of servanthood. God continually affords all of His Children opportunities to serve Him, therefore people should help others when they are in need. “God Moves Me...” is the creation of published author, nursenicholette. nursenicholette, MSN, RN teaches nursing students at the university level. She also volunteers at her church and in her community. After completing her Master’s degree in Nursing Leadership and Management in 2015, she received the inaugural Nurse Inspiration Award from her employer. In 2014, she received an Honorable Mention “Acts of Courage” award, which recognizes ordinary individuals performing extraordinary acts in times of emergencies, from the American Red Cross. In 2012, she received the Volunteer of the Year award from her county Medical Reserve Corps. She loves to spend time outdoors, riding her bicycle, and garden. She is originally from New York, but currently resides in the countryside of Ohio with her husband, son, and their rescue dogs, Duke, Corky, and Cuddles. Published by Christian Faith Publishing, nursenicholette’s new book teaches the importance of servanthood. The Heavenly Father is everywhere. He is part of every aspect of His Children’s lives. He alone can place people on the right path in their journey to find His purpose and His plan. He does not waver or hold grudges as He quietly waits for His Children to return to Him, so that He can immerse them in the unearthly love, kindness, and compassion that only He can provide. God does not want any of His Children to miss out on the opportunity to become His Disciples in this world. This is why people should never pass up the opportunity to help someone regardless of who they are or what their circumstances may be. All individuals should always provide comfort and compassion to each another, because it is the will of the Father. View a synopsis of “God Moves Me...” on YouTube. Consumers can purchase“God Moves Me...” at traditional brick & mortar bookstores, or online at Amazon.com, Apple iTunes store, Kobo or Barnes and Noble. For additional information or inquiries about “God Moves Me...”, contact the Christian Faith Publishing media department at 866-554-0919.